Hard white plastic plug with unsleeved pins. 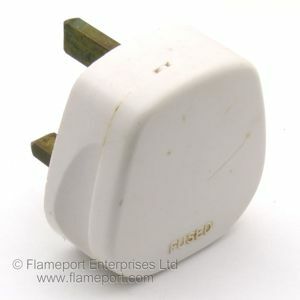 Nettle branded white plug made from a hard white plastic. 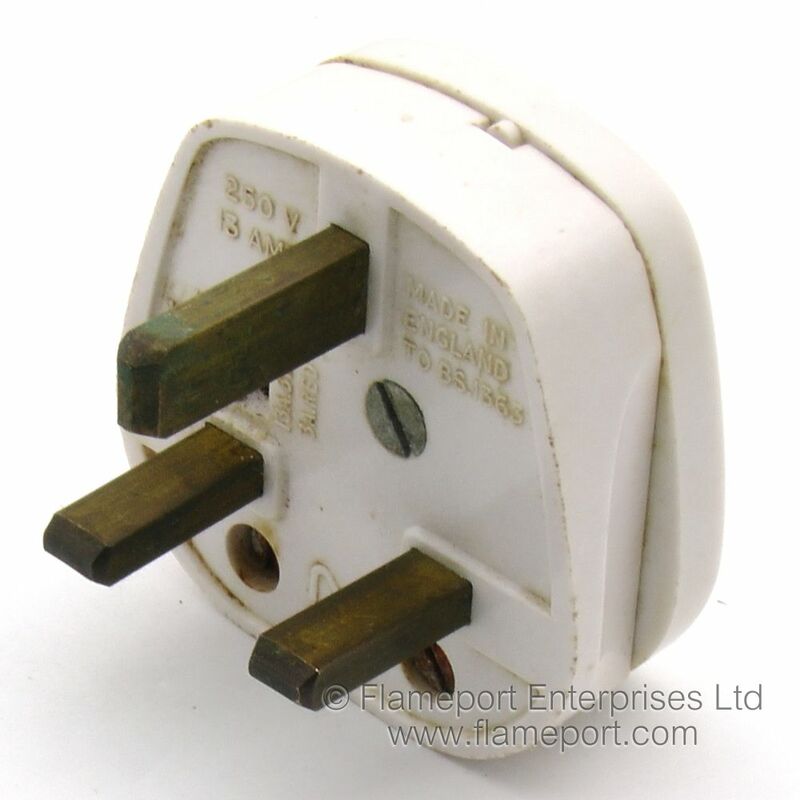 The rear cover only has the word 'FUSED'. Sides have recessed areas to improve grip. 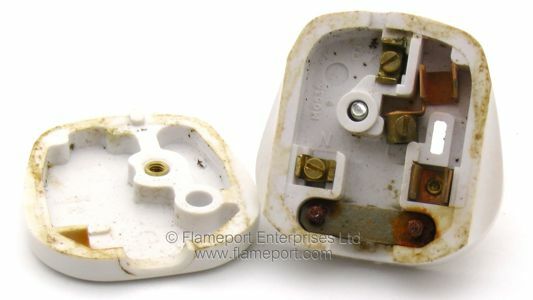 Somewhat greasy, the internals have the terminals marked with E, N, L. The fuse is missing, note the cutout hole below the fuse to enable the rating to be viewed without opening the plug. Cord grip is a flat bar, the screws have corroded due to being in a damp environment. 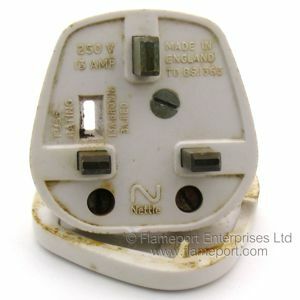 250V, 13 Amp, Made in England to BS1363. Nettle items are no longer made - this example is probably from the 1970s. Nettle merged with Delta (later MEM) in the early 1980s.